Congratulations to Fran Redmon, the winner of our third week scavenger hunt prize! This week’s clue featured the quilt trails of western Kentucky. Started in Ohio by Donna Sue Groves, a field representative for the Ohio Arts Council, quilt trails are a way for communities to recognize and honor their heritage and town cultures. 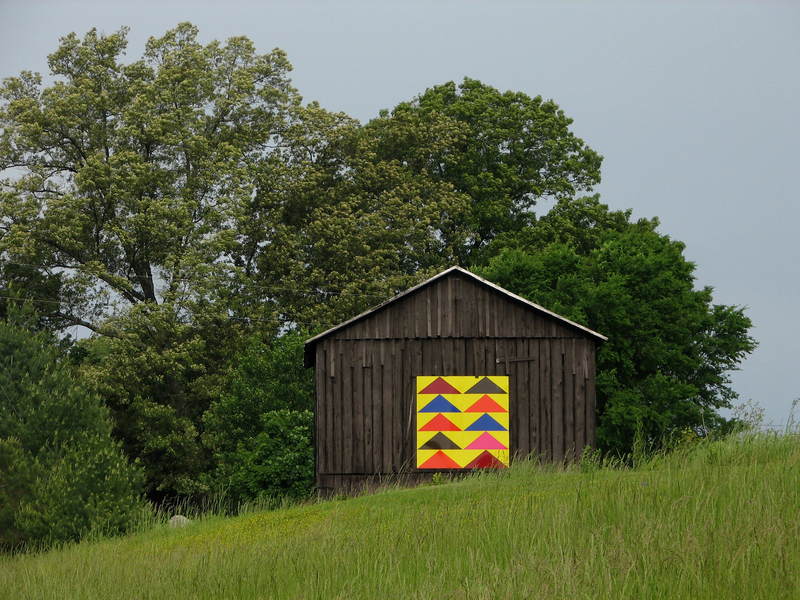 The tradition first sprung up in Kentucky in Carter County, in the eastern region of the state, when local volunteers, with support from the Gateway Resource Conservation and Development Council, painted and hung the first Kentucky quilt on a local barn. Since then, the grassroots movement has spread to communities small and large in Kentucky and local organizations have coordinated scenic driving routes to view the colorful and unique “quilts.” Below are a few trails to follow that will take you through the winding roads of more than nine western Kentucky counties. In addition to the quilt trails in western Kentucky, other trails have popped up in different regions of the state. To plan your Kentucky Quilt Trail adventure, through western Kentucky and beyond, visit http://artscouncil.ky.gov/KentuckyArt/QTrails.htm for more resources.